Perfect accompaniment to bologna or crackers. 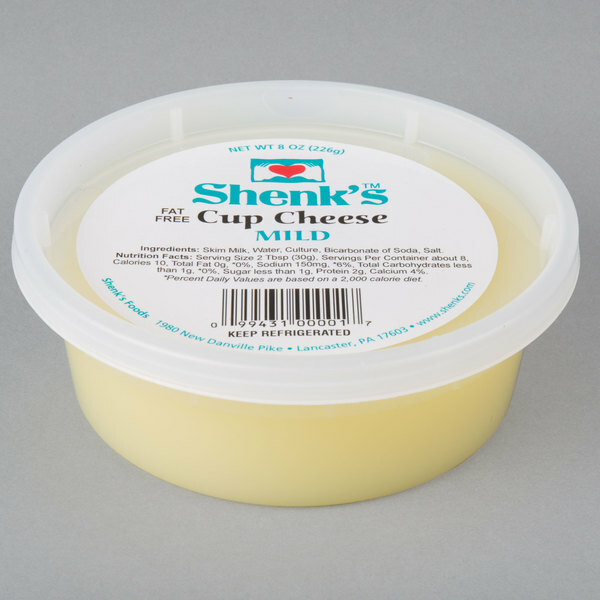 This Shenk's Foods mild cup cheese spread is a soft, spreadable cheese that is a perfect accompaniment to bologna or crackers. Additionally, the taste of this cheese resembles that of a mild french Brie. As with most cup cheeses, the consistency is slightly runny and features a pale yellow color. This mild cup cheese spread is completely fat free as well. Each spread comes in an 8 oz. round plastic container. The plastic container has a resealable plastic lid to help keep it fresh in refrigerated storage as well. 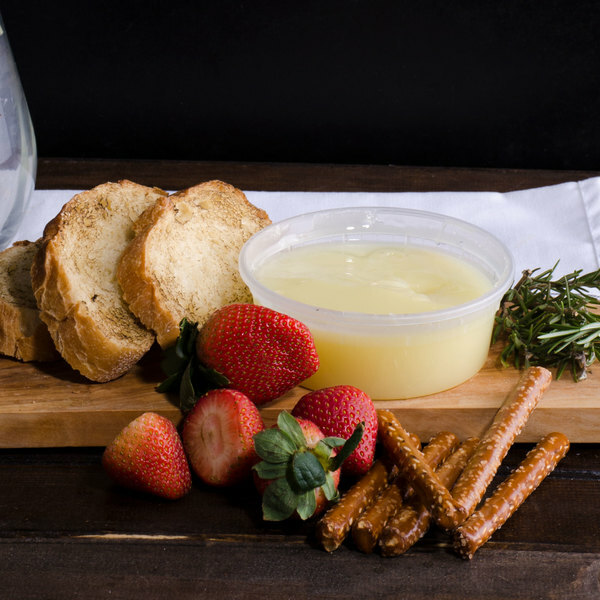 Whip up a new and exciting culinary creation with this cup cheese spread! 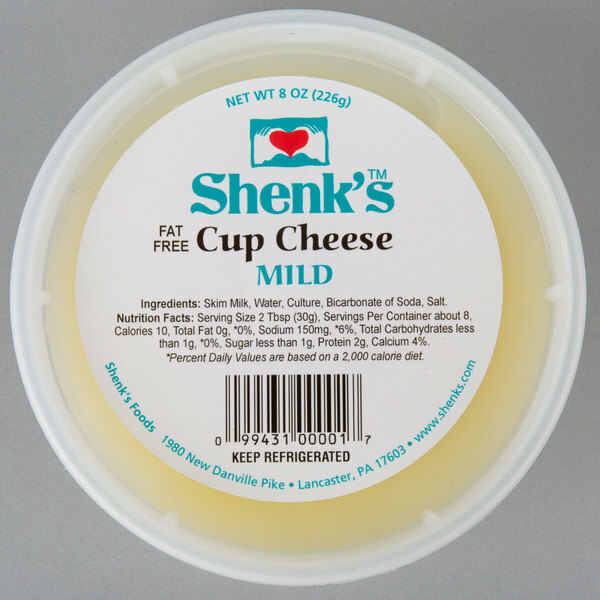 Located in the rolling farmland of Lancaster, Pennsylvania, Shenk's Foods is a great source for delicious cheeses, butters, and spreads. They are dedicated to providing fresh, quality products for their customers as well as a wide variety of flavors to suit the taste of a large audience. Plus, all of their foods are made on the original farm property acquired back in 1929. Proud to serve products with all natural ingredient and no artificial colors, flavors, or preservatives, Shenk's Foods provides the delicious foods your customers are looking for.